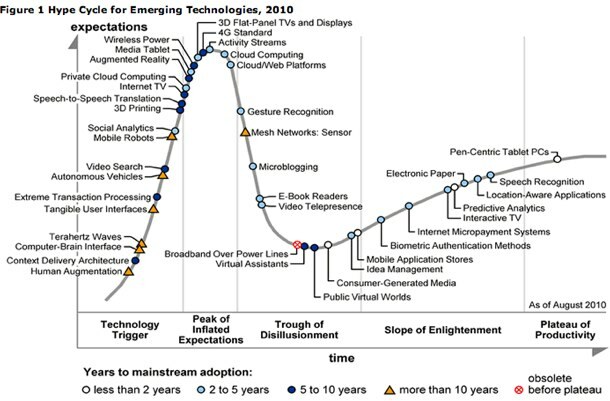 Gartner visualises the Hype Cycle, it’s excellent. I often discuss this, as it’s during the Hype Cycle that we get distracted. Like email it’s easy to go off on a tangent but what’s important today? Like the diffusion curve, understand where you lye on this. Thanks to RWW for bringing this to my attention. This entry was posted on Wednesday, October 27th, 2010 at 5:51 pm.